In the Doctrine and Covenants, the Lord counsels, “Wherefore, now let every man [and woman] learn” and learn “in all diligence,” for he or she that learns not “shall not be counted worthy to stand” (D&C 107:99–100). “Yet learned he obedience by the things which he suffered” (Hebrews 5:8). “Learn wisdom in thy youth; yea, learn in thy youth to keep the commandments of God” (Alma 37:35). “Learn to be more wise than we” (Mormon 9:31). “Learn of me, and listen to my words” (D&C 19:23). “Seek learning, even by study and also by faith” (D&C 88:118). “Study and learn, and become acquainted with all good books, and with languages, tongues, and people” (D&C 90:15). “[Seek] diligently to learn wisdom and to find truth” (D&C 97:1). As we consider the mandate of such divine admonitions, it is important to reflect on how gospel learning occurs. Gospel learning requires careful reasoning, study, and prayer. However, it is important to remember that each of us is a dual being: a personage of both body and spirit. Because we are spiritual beings, it is essential that we learn by the power of the Spirit. “Why is it that ye cannot understand and know, that he that receiveth the word by the Spirit of truth receiveth it as it is preached by the Spirit of truth? “Wherefore, he that preacheth and he that receiveth, understand one another, and both are edified and rejoice together” (D&C 50:21–22). In 2 Nephi 33:1, Nephi reminds us of another aspect of learning by the Spirit: “When a man speaketh by the power of the Holy Ghost the power of the Holy Ghost carrieth it unto the hearts of the children of men.” This is a powerful promise. Yet it is fulfilled only if we invite the Savior into our lives. The Savior stands at the door and knocks (see Revelation 3:20). The Holy Ghost stands at the door and knocks (see 2 Nephi 33:1–2). All we have to do is use our agency and invite Them in. In the February 2007 worldwide leadership training meeting on teaching and learning, President Boyd K. Packer, President of the Quorum of the Twelve Apostles, provided specific counsel on how we can invite such diligent learning. I would like to summarize a few of the things I learned from President Packer about learning. First, President Packer taught that being diligent learners means we want to learn. We show this desire when we are teachable and when we can be taught without resenting it. When we resent instruction and correction, we offend the Spirit and limit our opportunities for growth and progress. Second, we need to pray﻿—particularly in specifics. Pray formally and informally for yourself and for the teacher. The teacher may not say something quite right. He or she may be weak and feeble in words and expression. But the Holy Ghost is not, and each of us can pray for ourselves and for the teacher: “Oh, Father, the teacher does not know the load and burden that I currently carry. Help him or her to teach me directly.” When you start doing that as a learner, you start getting answers. Further, listen not only to what is said but also to what is not said: the unspoken promptings of the Holy Ghost. Each is important. Hopefully, you are always sensitive to what is not said by the teacher. If you are, the Holy Ghost will tailor the message to your needs. Fourth, as you listen, it is important to organize what you learn. Take what you have heard, and then make it yours by writing it down and expanding it. If you really want to ensure that you’ve got it, find somebody to whom you may teach it. Generally speaking, until you can articulate what you’ve learned, you haven’t really learned it. Make the effort to organize what you learn; it will be worth it. In addition to what we do in class, we can do many things to invite diligent learning even before we come to class. President Packer counseled: “Arise from your bed early … and then reflect in the morning when your mind is clear. That’s when the ideas come.”4 I know that is true. As we arise early to study, pray, ponder, and listen, revelation will come. Also, be punctual to your meetings, particularly sacrament meeting, one of the most spiritual meetings in the Church. As you come, be reverent; leave yourself open to revelation. Come and listen to the prelude music. Don’t seek out somebody to talk to. Come as a diligent learner, and prepare yourself to receive revelation. Now that is a very powerful observation. Above all, stay at it. President Packer was very emphatic about this in his interview. Don’t give up. Be persistent in learning. Make the most of the many opportunities you have to learn. “ ‘What do you do?’ he asked. The woman took the challenge seriously. She read all she could find about brick and tile and then sent Dr. Agassiz a 36-page paper on the subject. Now there’s something very fundamental about that, to invite diligent learning and not be content with mediocrity. We can become better learners, and by being better learners, we will be better teachers. I want to follow the example of the Savior, a master teacher. But what made Him a master teacher? He was first a learner. May the Lord bless each of us as we follow Him and become better learners. Teachings of Presidents of the Church: Joseph Smith (Melchizedek Priesthood and Relief Society course of study, 2007), 475. 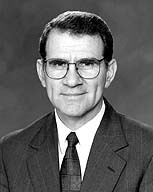 “To Understand and Live Truth” (an evening with Elder Richard G. Scott, Feb. 4, 2005), http://lds.org/library/display/0,4945,5344-1-2783-8,00.htm. “Principles of Teaching and Learning,” Liahona, June 2007, 52; Ensign, June 2007, 84. Liahona, June 2007, 52; Ensign, June 2007, 84. Teachings of Presidents of the Church: Spencer W. Kimball (Melchizedek Priesthood and Relief Society course of study, 2006), 75. “Good Teachers Matter,” Ensign, July 1971, 61–62.